As the number of people worldwide using cellphones and wireless Internet increases every year, so does the need for the virtual space through which the signals travel. Without that, the world is heading for a major traffic jam on the information superhighway. 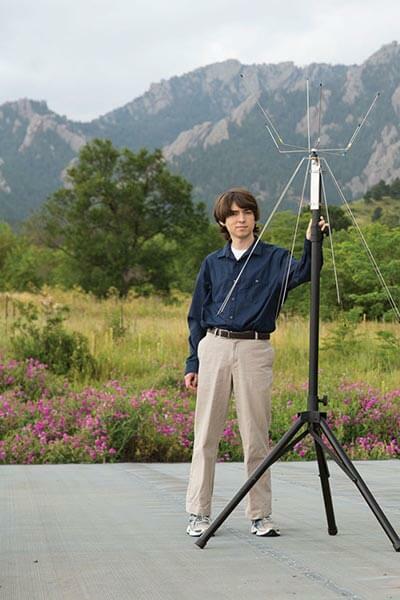 Chris Chavez spent his summer at the National Institute of Standards and Technology in Boulder, Colorado, looking to improve how radio and cellular signals are measured. His internship was part of a larger effort by the federal government to expand cellular and wireless capacities to meet growing demand. First, Chavez wrote software that allowed data to be collected from instruments such as oscilloscopes. He then tested the instruments in a lab before going outside — to beautiful mountainside views — to conduct actual measurements. Chavez said his background in Computer Engineering helped him find ways to adapt or improve existing software to better handle and process data. “There can be very large sets of data, so being able to figure out even a small improvement can add up to many hours saved when these programs are used,” he said. Along the way, Chavez picked up a couple of scientific programming languages and made connections that may impact his ambitions.